Tripp Lite 6ft DisplayPort to DVI-D / DP to DVI AdapterConverter Single Link Video Cable M/M - Single Link Adapter DP2DVI (M/M) 6-ft. 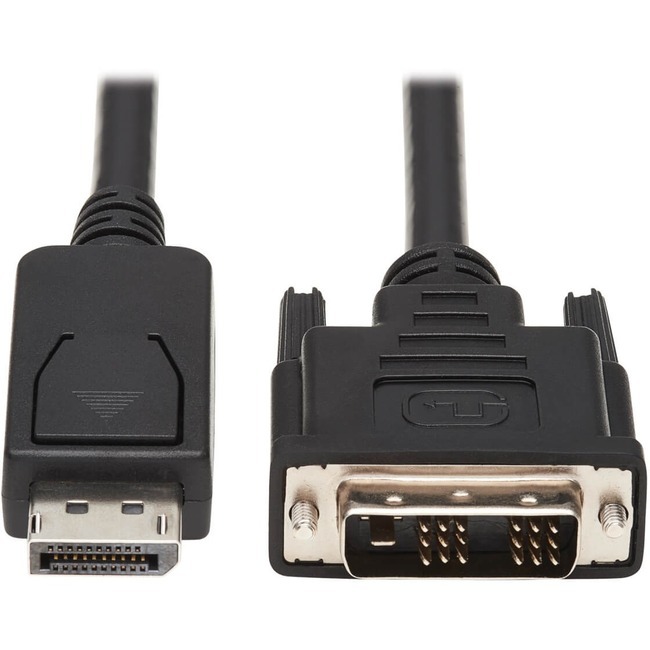 Single Link Adapter DP2DVI (M/M) 6-ft.
ManufacturerTripp LiteManufacturer Part NumberP581-006Manufacturer Website Addresshttp://www.tripplite.comBrand NameTripp LiteProduct NameAdapter CableMarketing InformationTripp Lite's P581-006, Displayport Male to DVI-D Male 6ft Cable, allows you to connect a computer with a DisplayPort connection, to a HDTV or Computer Monitor with a DVI connection. Digital Video signals are passed through, with full 1080p video resolution supported. Fully molded ends ensure long life enjoyment.